At BIOPRO, LLC, we want to make sure that you receive the type of personalized service you deserve during your time of need. Many of the clients we deal with have just undergone an emotional tragedy such as a homicide or suicide, and a vital part of our job is to make certain that blood removal, decontamination and the other services we offer are carried out in a professional and respectful manner. While you would hope that this would be a standard all of those operating in our industry would adhere to, sadly it is not. Worse still, insurance companies often recommend biohazard cleaning contractors that don’t have the proper training or experience to get the job done right. The good news is that you don’t have to listen to your agent or adjuster. 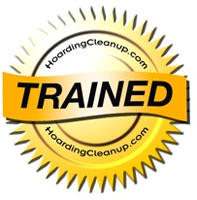 You have the right to choose a biohazard clean-up company that will do the job correctly and respectfully. As the oldest biohazard company in the world, we’ve been at the forefront of the biohazard and crime scene clean-up industry since 1985. In that time we’ve been amazed at how easy it is for fly-by-night, unqualified companies to fool insurance companies into thinking they are qualified to do the work we do. How does this happen? This scenario, as hard as it is to believe, happens every day. Should you find yourself needing the services of a biohazard clean-up company, remember that your insurance company does not have the final say. You have the right to choose a company with the experience and commitment to do this vitally important and very difficult work correctly. The tragedy you and your family have experienced shouldn’t be made worse simply because your insurance company is uninformed and didn’t take the time to do their due diligence. A janitorial services company with one month’s work biohazard cleaning experience is no more an expert in the field than you are an expert mechanic because you know how to put gas in your car. We hope you never need the services of a biohazard clean-up company. Should you find that you do need those services, however, demand the hiring of a company with the experience and know-how to get the job done the right way.